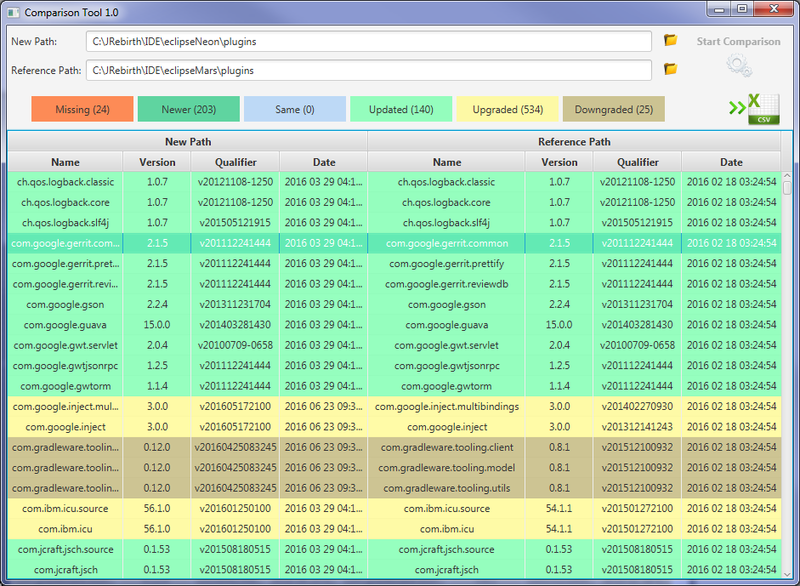 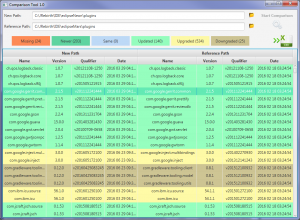 Here you have the new Comparison Tool application used to compare versions of OSGI bundles stored in two folders. 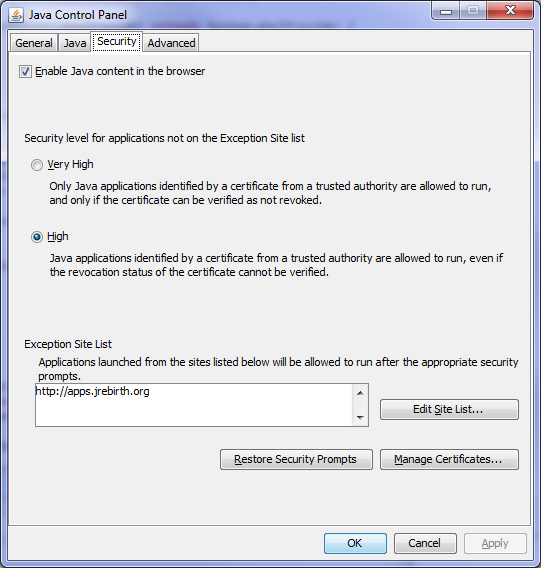 Then choose the Security tab, add our domain into exception list and choose High as security level. 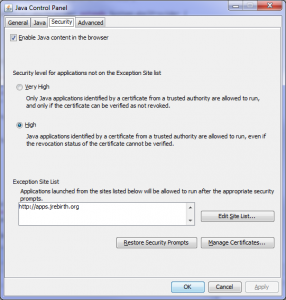 And now if you browse the official website you can run the application directly into the browser (only if you have configured your favorite browser to still use the latest version of Java). 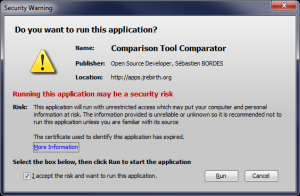 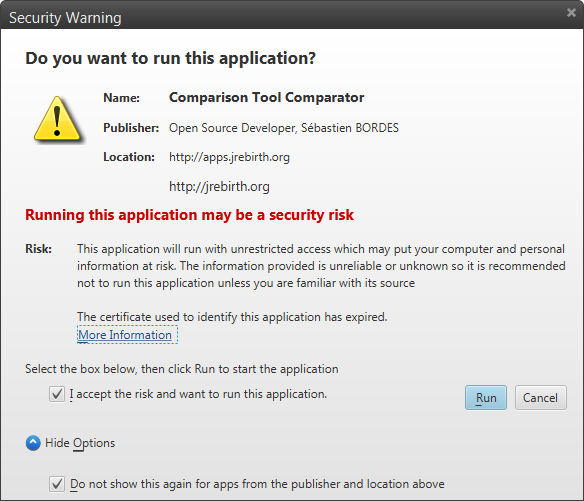 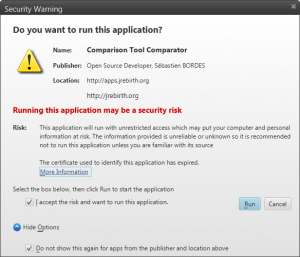 In this case you will obtain a slightly different security warning, if you tick all checkboxes you will not be annoyed in the future about security restrictions with JRebirth applications. 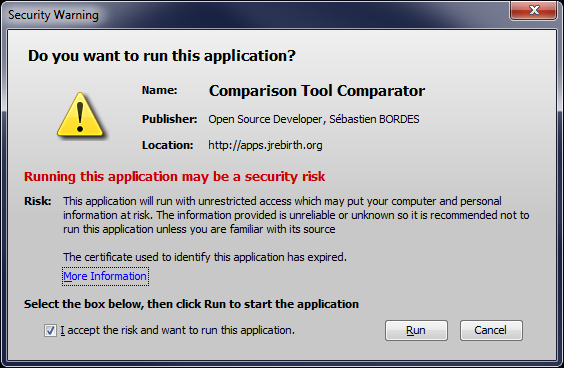 You can now enjoy JRebirth Demo applications and browse their source code on GitHub to learn efficiently JRebirth Application Framework.